The price of one ounce of gold increased by 2.7965 manats or 0.1371 percent last week in Azerbaijan. Accordingly, the average price of one ounce of gold stood at 2037.4075 manats. Last week in Azerbaijan, the price of one ounce of silver decreased by 0.5609 manats or 2.2798 percent. Accordingly, the average price of one ounce of silver stood at 24.28162 manats. Last week in Azerbaijan, the price of one ounce of platinum increased by 6.375 manats or 0.4766percent. 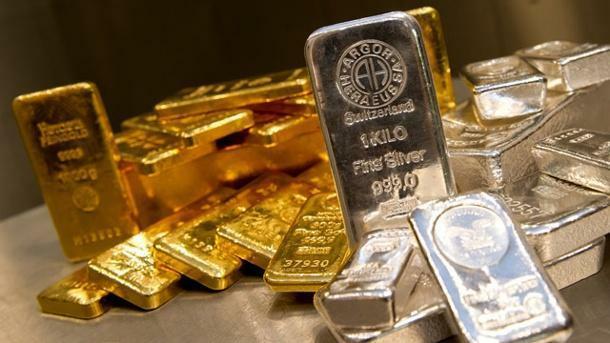 Accordingly, the average price of one ounce of platinum stood at 1336.1048 manats. Last week in Azerbaijan, the price of one ounce of palladium decreased by 6.222 manats or 0.3732 percent. Accordingly, the average price of one ounce of palladium stood at 1666.5661 manats.